After catching Death Cab for Cutie down in San Diego, I opted to catch their second night Greek Theatre in hopes they would mix up their setlist and potentially dust off some old favorites. 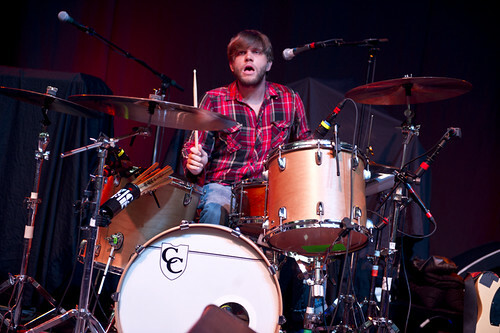 Of course, Death Cab For Cutie came through to deliver a sparkling high energy set. Rising among the likes of such great Scottish bands as Mogwai, The Jesus and Mary Chain and Teenage Fanclub, Frightened Rabbit will win you over with their heart on a sleeve lyrics and clever melodies. 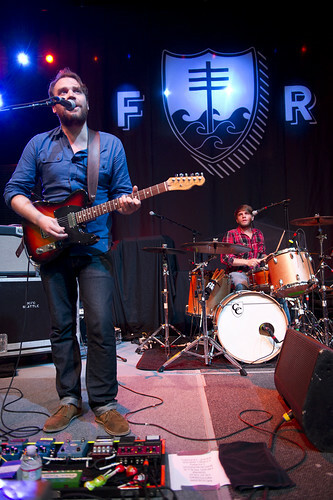 Touring tirelessly behind their latest release The Winter of Mixed Drinks, Frightened Rabbit are known for winning over fans with their compelling live show. 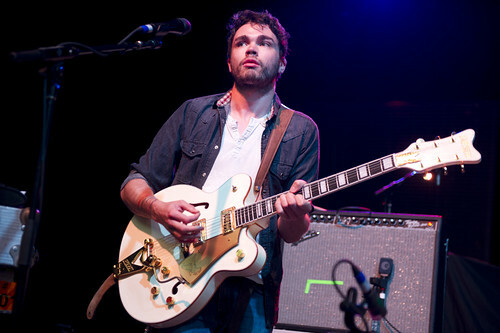 Opening their set with "The Modern Leper", Scott Hutchison strummed his Fender guitar as his brother Grant Hutchison started to form the percussive backbone of the song with his steady drumming. The guitars would really rumble during the opening of "Nothing Like You" as Scott's Scottish accent adds extra charm to the song. Scott apologized to the crowd implying he had a rough night of drinking the evening prior but it didn't seem to impede his performance on stage. The propelling riff of "Head Rolls Off" continued to ensnare the attention of the fans in the audience as it was difficult to deny their embracing tunes. "Keep Yourself Warm" was a perfect set closer and left the fans wanting more. 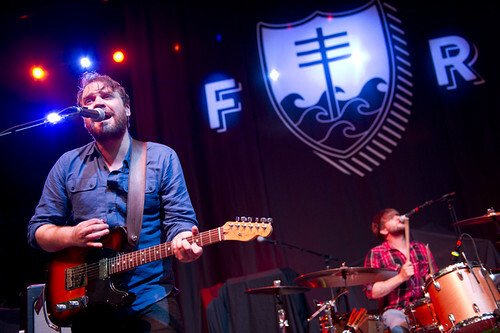 I'm sure Frightened Rabbit will be headlining bigger venues with their next album. 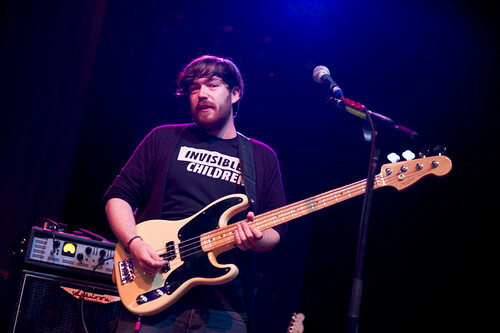 A dimly lit stage awash in red lights set the mood for the ominous opening bass line of "I Will Possess Your Heart". 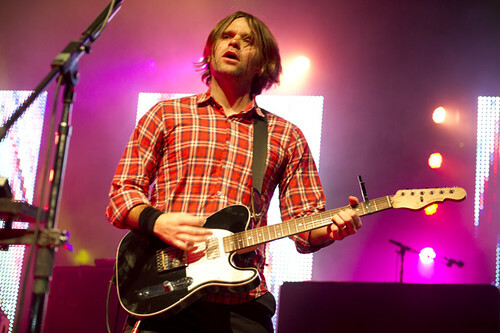 Ben Gibbard sporadically used an E-Bow on his G&L telecaster guitar adorned with a Seattle Mariners logo to build the feedback swells at the beginning of the song. 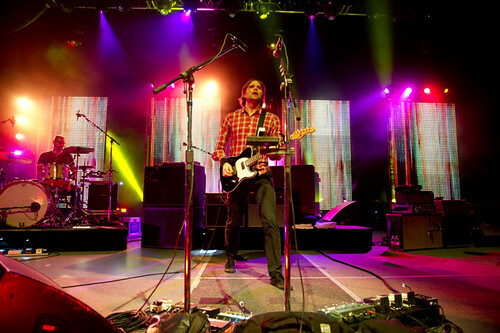 Gibbard would quickly drop his guitar to run over to the keyboards while the band were tightly interlocked in the rhythm of the song. "Crooked Teeth" presented a shift in mood and lighting as the four LCD screens vividly lit up and a full on rock show commenced. The irony of "Why Would You Want to Live Here?" 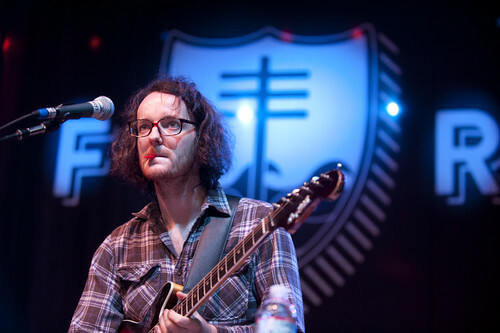 was addressed later in the set as Gibbard admitted that since he has lived in Los Angeles for three years that he can complain about the city he inhabits. Shifting gears to their latest album Codes and Keys, "Doors Unlocked and Open" had Chris Walla focus his energy on his Korg MS-20 for the haunting synthesizer bass line. 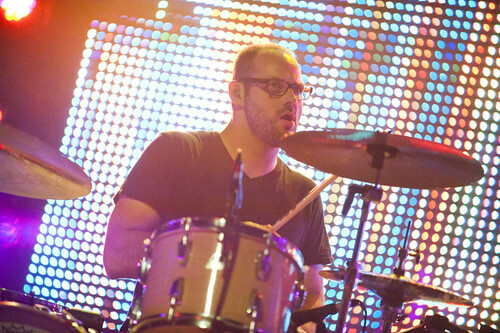 "Long Division" sounded noisier than the recorded version with a shoegazey breakdown. 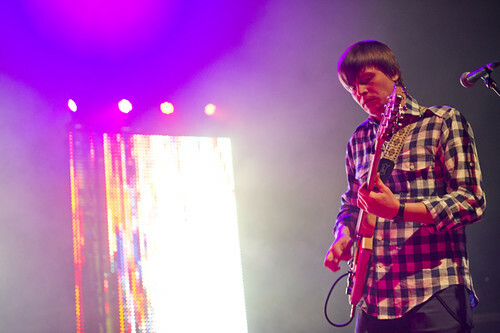 Chris Walla added some Rhodes like keyboards to "Grapevine Fires". 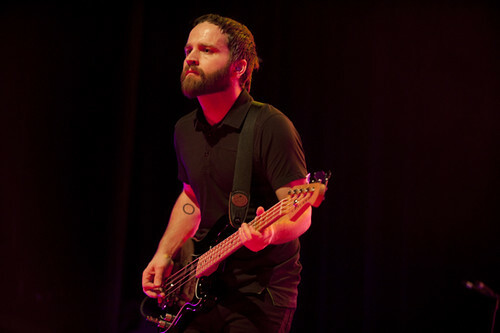 A deep bending sustained guitar line was played by bassist Nick Harmer for "Codes and Keys" supported by Gibbard's uplifting vocals. 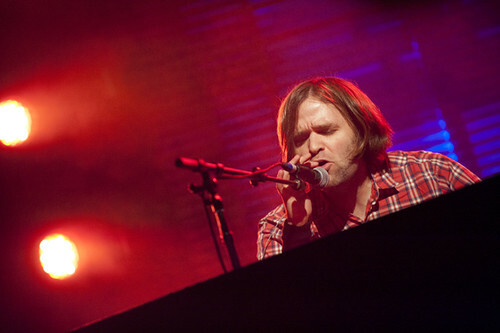 Gibbard took center stage for a solo haunting acoustic version of "I Will Follow You Into The Dark". The hits just kept coming as the band effortlessly worked through "Soul Meets Body", "A Movie Script Ending" and "The Sound of Settling". The encores for the evening included my personal favorite "405" and the epic closer of "Transatlanticism". Death Cab For Cutie will return on October 14th to play the Fox Theater in Pomona with Release The Sunbird and October 15th with Explosions In The Sky at the Santa Barbara Bowl. Odds are I will be attending both.